Why is South Carolina a good place to retire? There are a lot of benefits available to retirees. In South Carolina, if you are 65 and older and lived in your house for at least one year, you are entitled to the Homestead Tax Exemption. 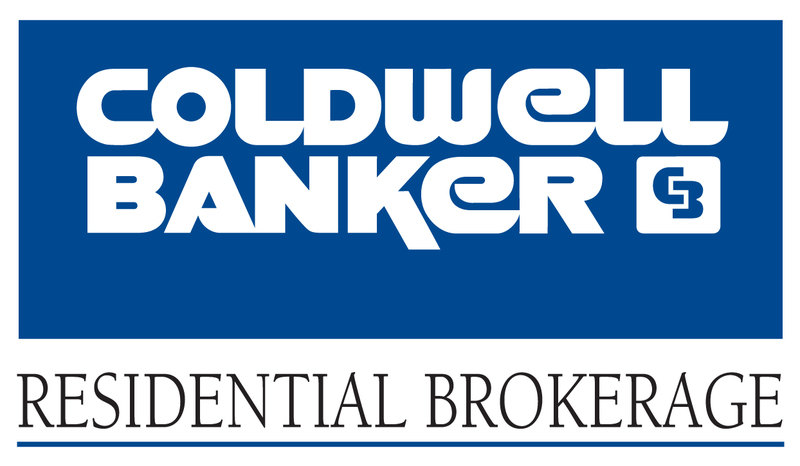 This program exempts the first $50,000 of the value of your home from all property taxes. This also applies to property held in revocable trust, and is extended to a surviving spouse 50 years or older. Your choice to serve or not to serve on city, county or state jury duty. Discounted admission fees to state park facilities. Free hunting and fishing licenses (at least one year residency requirement). Free Tuition at state supported educational institutions (subject to space). Do some taxpayers age 65 and older not have to file a SC income tax return? gross income less than the sum of the federal exemption amount, the applicable standard deduction amount, and any age 65 and older deduction for which the taxpayer qualifies. combined gross income of less than the sum of (a) twice the federal exemption amount, (b) the standard deduction if the individual and spouse had the same household at the close of the tax year, and (c) any age 65 and older deduction for which the taxpayer qualifies. Is social security taxed by the federal government also taxed in South Carolina? No. Social Security benefits and railroad retirement taxed for federal purposes are not subject to tax in South Carolina. Is retirement income received from employment outside of SC taxable? Retirement income received by a resident individual is taxable in South Carolina. The residency of a taxpayer when the taxpayer receives the retirement income, not the place of employment where the retirement income was earned, determines the taxability of retirement income. South Carolina does not tax the retirement income of nonresident individuals. See Code Section 12-6-1130. Also, see Code Section 12-6-3500 that provides for a credit over the qualifying taxpayer's lifetime for other state income taxes paid on the employee's contributions. Is there a deduction for retirement income subject to tax in South Carolina? Yes. A taxpayer receiving retirement income may deduct up to $3,000 of qualifying retirement income annually until reaching age 65, and deduct up to $10,000 of such retirement income annually at age 65 and thereafter. For this purpose, "retirement income" means the total of all otherwise taxable income not subject to a penalty for premature distribution from qualified retirement plans and public employee retirement plans of the federal, state, and local governments, including military retirement. Further, if both spouses receive retirement income, each spouse is entitled to a retirement income deduction. In addition, a surviving spouse is allowed a deduction for income received from his or her retirement plan, if any, and a second, separate deduction for retirement income that is attributable to the deceased spouse, if any. The deduction for retirement income received as a surviving spouse is based on the age the deceased spouse would have been had he or she lived. What is the income tax deduction available to all taxpayers age 65 and older? Amounts deducted as retirement income reduce this $15,000 deduction. Amounts deducted as a surviving spouse do not reduce this $15,000 deduction. Taxpayer's filing a joint return are allowed a deduction of up to $15,000 when only one spouse is 65 or older and up to $30,000 when both spouses are 65 or older by the end of the tax year. If you are considering moving to South Carolina you may ask... Is pension income taxable? Pension income received while a resident of South Carolina is taxable to South Carolina. However, South Carolina allows a retirement deduction and an age 65 and over deduction. Is all military retirement pay taxable to South Carolina? South Carolina does not tax retirement benefits received from the United States or any state for service in a state National Guard or a reserve component of the Armed Forces of the United States. South Carolina does tax military retirement pay based upon service in any other military component (such as active duty), however, South Carolina allows a deduction for up to $10,000 of taxable retirement income. An example best illustrates how to determine the amount of military retirement pay that is excluded from South Carolina taxable income. Assume your military retirement pay is from service on active duty and also service in the National Guard. You must determine what portion of the total retirement pay is to be excluded from your South Carolina taxable income. Determine the percentage of your total military service that you served in the National Guard or Reserves based on the following formula: Reserve time + National Guard time = % Exclusion Total military time. Determine the amount of your military retirement income that is not subject to tax: % Exclusion x Total military retirement income = Military Retirement pay not subject to tax in SC taxed on your federal return. 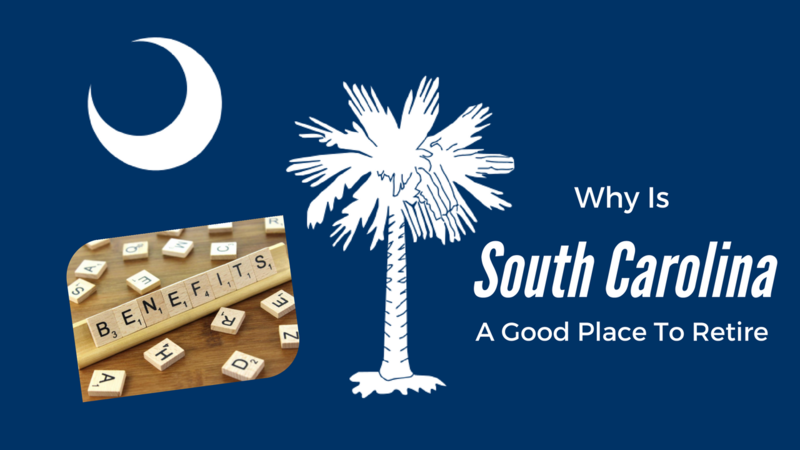 For a more thorough review of the tax benefits offered in South Carolina to retirees, and the applicable laws associated with each, visit the South Carolina Department of Revenue at SCTax.org. For a more comprehensive review of the Homestead Tax Exemption offered in Charleston County, visit TaxWeb.CharlestonCounty.org. To see an Example of Charleston's County Property Tax, visit CharlestonCounty.org. For an education on how to apply for Retirement Benefits and to utilize the Social Security Retirement Planner, visit SSA.gov. Exempt from the additional 1% sales tax that went into effect with the passage of the Education Improvement Act. Senior citizens must ask for exemption at time of purchase and may be required to show proof of age. Choice to serve or not to serve on Federal court jury duty. Apply for Social Security whether you are planning to retire or not (may apply 3 months prior to Social Security retirement age). Apply for Medicare (automatically eligible if you qualify for Social Security benefits). Part A: hospital insurance - FREE. Part B: other medical services, require a monthly premium of $78 (penalty for late enrollment). Medicare pays 80% of allowable charges after your deductible. Individuals must pay the remaining 20% and any other additional charges. May be eligible for Supplemental Security Income (SSI) payments depending on resources and income. If you are eligible for SSI, you automatically receive Medicaid. Homestead Tax Exemption... first $50,000 of the fair market value of your house or mobile home owned by a state resident of at least one year is exempt from municipal, county, school and special assessment real property taxes. Exemptions provided to surviving spouses who are 50 or older and anyone who is legally blind or has a permanent disability, regardless of age. Apply at the county auditor's office on or before July 16. Income Tax Credit: South Carolina will allow a $15,000 deduction from taxable income for taxpayers 65 years of age and older. Taxpayers under age 65 may exclude from taxes $3,000 of their qualified retirement income annually. At age 65, the deduction on retirement income increases to $10,000 and retirees may claim an additional $5,000 deduction on other income. The total deduction cannot exceed $15,000. Choice to serve or not to serve on city, county or state jury duty. Discounted Palmetto Passport admission to state park facilities. FreeHunting and Fishing Licenses permanent hunting and fishing licenses (one-year residency requirement). Vehicle Discount. Biennial registration fee for private passenger-carrying vehicles discounted to $20. The annual registration fee for any property carrying vehicle with a gross weight of 5000 pounds or less is $30 biennially. Free eye care. Call 1-800-222-EYES (3937) to receive a referral to a local ophthalmologist who will provide needed medical eye care at no cost to qualifying individuals. Must be US citizen. Does not cover hospital charges, drugs or eyeglasses. Apply for Social Security if you plan to retire. Apply no later than the last day of month you want the benefits to begin. Special discounts may be given on eyeglasses, lenses or any accessories. Free tuition at all state supported educational institutions that include state universities, colleges and technical schools (subject to space restrictions and usual entrance requirements). May retire from the SC State Retirement System after 28 years of service. Eligible for services through the Aging Network (contact your local Council on Aging). Automobile insurance credit is mandated for persons who are 55 years of age or older and have successfully completed a driver training course approved by the Dept. of Public Safety. Contact the local 55 Alive program through AARP. Or call 1-888-227-7669. Social Security - Social Security income that is taxed on your federal income tax return is not taxed on your South Carolina income tax return. Retirement Income - Prior to reaching age 65, taxpayers may exclude annually $3,000 of their retirement before calculating their taxable income. Once taxpayers reach age 65, they may exclude $10,000 of retirement income. You can take this deduction on income received from any qualified retirement plan... including IRAs, government pension plans, Keogh plans and private sector pensions. 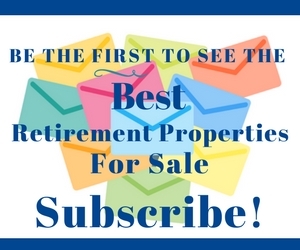 Retirees may also claim an additional $5,000 exemption on other income upon reaching age 65. Total deductions cannot exceed $15,000. The $15,000 total deduction may also be claimed on any source of income, not just retirement income. Dependent Care Credit - Families caring for an elderly relative in their home who must hire caregivers in order to work may deduct up to 7% of the amount claimed on their federal income tax against their state income tax. To exempt home and vehicle property taxes, you must first file an application at the county auditor's office. 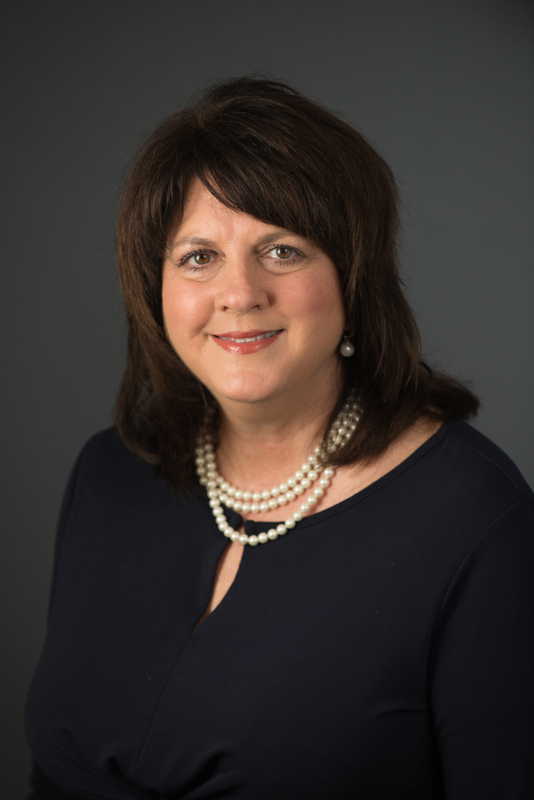 Although the 55Plus Homes Team endeavors to keep up to date on all the benefits offered to retirees in South Carolina, we recommend that you contact a tax professional if you have any questions or are in doubt about a tax issue or procedure. 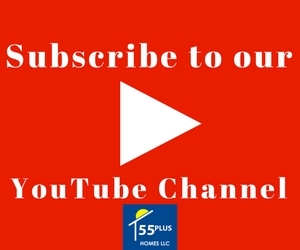 To learn more about Why South Carolina is a good place to retire subscribe to our YouTube Channel or visit 55PlusHomes.info for the BEST Retirement Properties For Sale.